Arrive Cairo International Airport, welcome greeting by our representative who will assist you and provide transfers to your Hotel in Cairo. Settle in for the night to relax and enjoy the views of the Cairo at night. After breakfast start a day excursion beginning with a trip to the Egyptian Museum of antiquities. Where on display is a rare collection off Egyptian antiquities dating back 7000 years. A special exhibit dedicated to the Tutankhamen collection as well as many more treasures for you to see. Relax and enjoy the views of the Cairo at night. After breakfast, check out of the hotel in Cairo and heading to Hurghada, Red Sea beach for some chill out time in the sun. Settle in for the night to relax and enjoy the views of the Red Sea at night. Spend leisure time in Hurghada, where the endless year-round sunshine, beautiful turquoise waters, colorful fishes, coral reefs, dozens of exciting attractions, and relaxed atmosphere. It's also known as one of top-three diving destination in the world. After breakfast check out of the hotel in Hurghada and heading to Luxor. Upon arrival to Luxor city - check-in on board 5 star Nile cruise ship. We then take you in the sites on the East Bank of the Nile. where the Karnak and Luxor Temples. With the first stop of Luxor Temple, see its courtyard and the granite statues of Ramses the Great then we’ll proceed by bus to Karnak Temple. This temple was built by various Pharaoh's during different reigns. You will see the Avenue of Sphinxes , the Hypostyle Hall ,the Obelisks of Queen Hatshepsut and Tuthmosis the temple of Amon adorned with lotus and papyrus designs, the Granite Scarabeus of Amenophis III and the Sacred Lake. After breakfast, visit the West Bank of the Nile where you will see Valley of the Kings, Colossal of Memnon and Hatshepsut's mortuary Temple. The Valley of the Kings is known to contain 63 tombs and chambers ranging in size from a simple pit to a complex tomb with over 120 chambers. The amazing Temple of Queen Hatshepsut widely considered one of the "incomparable monuments of ancient Egypt", the Mortuary Temple of Queen Hatshepsut is located beneath the cliffs at Deir el Bahari on the west bank of the Nile near the Valley of the Kings. Colossi of Memnon and the Alabaster Institute, the Colossi of Memnon are two massive stone statues of Pharaoh Amenhotep III. For the past 3400 years they have stood in the Theban necropolis, across the River Nile from the modern city of Luxor. The 2 massive structures always leave our guests asking our tour guides the same question! How did they do it? After this full day sightseeing, we spend a relaxed night in Luxor. Get ready for an afternoon departure. We set to sail downstream via Esna lock. We sail down the Nile to Edfu where you'll visit the Temple of Horus (Sobek) in Edfu, the falconheaded god. Built in 230 BC by Ptolemy III it spent much of the modern era buried in sand and debris, this stunningly well-preserved and colorful structure reveals what temple worship in ancient Egypt was like. Overnight onboard in Edfu. Relax and take the lunch on-board sundeck while we sail the Nile. Later today we visit the Temple of Kom Ombo. A unique riverside temple, it is unusual in that everything architecturally is doubled and perfectly symmetrical along the main axis of the temple including twin halls, courts, colonnades, sanctuaries and entrances. Then Sail to Aswan, a prosperous town at the crossroads of the ancient caravan routes late evening. (Early morning optional tour) to visit the most awe-inspiring temple of all ancient Egyptian time, with its gargantuan rock-cut facade is the magnificent Abu Simbel. Explore the site for the commanding temples of Ramses II, he is Egypt’s longest-ruling pharaoh. Guarding the entrance to the temple are 4 colossal seated statues of the pharaoh himself, staring out across Lake-Nasser! Each statue nearly around 70 feet tall, are impressive enough; but perhaps more astonishing which have a fascinating story as they were is the fact that this entire site was disassembled and moved to its present location to save it from the flood-waters of the Aswan High Dam.--After breakfast, we disembark from the cruise and take a short boat trip to Agilika Island and Philae Temple - dedicated to the goddess Isis. The temple dates from 4th century BC but the Ptolomies and the Romans up to 3rd century AD whom we credit for building most of the existing structures. As they were In danger of being completely submerged by the rising water of Lake Nasser, in 1972 UNESCO stepped in and an 8-year rescue effort was undertaken to relocate the entire temple 20 m higher on nearby Agilika Island. 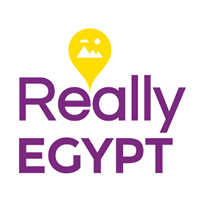 After lunch, we visit the High Dam and take a felucca sailing trip to Elephantine and Kitchener Island. As the sun sets, free time to shop in the colorful souqs and markets or simply relax and watch an amazing sunset in Egypt’s southernmost town straddling the River Nile at the End of the tour you'll be transferred to check in your hotels stay in one of the most fantastic settings in amid of the island, close to the city's most famous attractions. The hotel offers a wonderful and convenient view from where to explore all that Aswan has to offer. After breakfast check out from your Hotel in Aswan and then you'll be transferred to Aswan airport where you will take the domestic flight to Cairo. Once arrives Cairo airport you will be transferred to your Hotel in Cairo close to Great Pyramids. After breakfast you will start exploring the Giza Pyramids and the great Sphinx in Giza Plateau area. The Pyramids at Giza are considered one of the seven wonders in the world. When you see them the first time you will ask. How the Pharaohs were built the Great Pyramids of Giza without to use any of modern machinery? From here we will continue across the plateau. 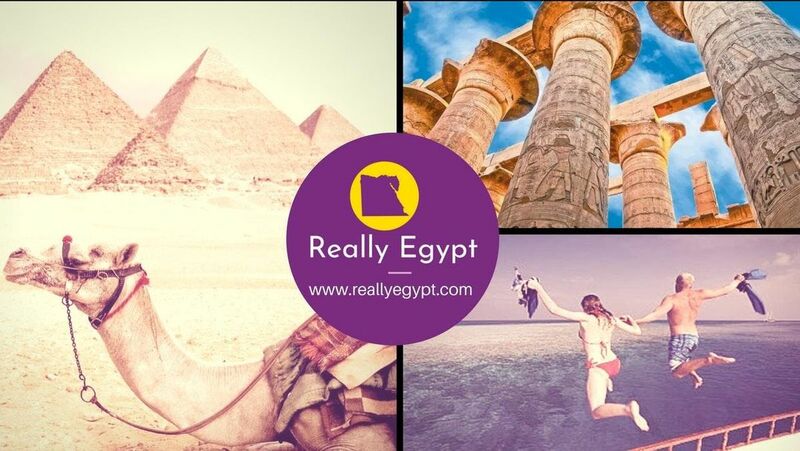 A great spot to take photos with the Great Pyramids in the back ground rising from the sands or skyline of Cairo. Finally visit the Valley Temple and the statue of the Great Sphinx. Relax and enjoy the views of the Cairo at night. Today you will be transferred back to Cairo International airport for your onward flight. All entrance fees to included monuments. Guided tour of the Pyramids of Giza and the Sphinx. Guided visit of the Egyptian Museum. Tour of Kom Ombo and Edfu Temples. Visit the Colossi of Memnon. Excursion to the Valley of the Kings, Hatshepsut and Karnak Temples. Prices quoted do not include local tips, for guides, driver, staff crew etc. On request add day trips, or we can custom make a tour for you.